In 2012, the National ICT Confederation of the Philippines (NICP), in partnership with the Department of the Interior and Local Government (DILG) under the late Jesse Robredo, and the Cyber City Teleservices Philippines Inc. (CCTP) launched in synergy the Awards for Excellence in Governance Through ICT for Local Government Units or the eGov Awards. The eGov Awards is the first and most prestigious recognition to be given by the ICT sector to LGUs with exemplary performance in empowering its Public Customers and Business. It is an annual search for best practices in local government units in utilizing information and communications technology (ICT) to effectively and efficiently deliver its public services directly to its constituents and to its business stakeholders. The first awarding ceremony was held as part of the annual summit of the NICP which is annually presented by the Department of Information and Communication Technology (DICT) since its inception in 2008, while still the Commission on Information and Communication Technology (CICT). The eGov Awards share the vision of establishing indices for local government units across the country in harnessing the potentials of ICT towards raising the bar in delivering public service. By drawing attention to the best practices in integrating ICT capabilities and solutions, the different sectors of society, government units are enabled in their roles as catalyst of change. It is hoped that with the eGOV awards strategy, the country will see the proliferation of revolutionary ICT initiatives that will support clearer, wider and faster access to information in our local government. The Digital Cities PH Awards share the vision of establishing indices for local government units across the country in harnessing the potentials of ICT towards raising the bar in delivering public service. By drawing attention to the best practices showing outstanding and remarkable innovation in integrating ICT capabilities and solutions, the different sectors of society, and local government units are enabled in their roles as catalysts of change. To share and replicate innovative practices, and commend, collate and document LGUs in integrating ICT in their processes to serve as example and benchmarks to other LGU’s. To improve the business development, social services and the general ecosystem of the LGUs and motivate the private and business sector to actively participate and/or invest in the growth of the LGU’s. To promote citizen’s responsibility and participation as well as accountability, efficiency and transparency in governance responsibility and encourage innovation. In 2017, during the 9th NICP Summit in Cagayan De Oro, DICT and NICP along with other agencies jointly launched the Digital Cities project – the national flagship project to create smart or digital cities, especially in the areas of economic development, governance, lifestyle, talent development, mobility, and environment. During the 6th eGov Awards ceremony also in 2017, NICP and DICT jointly launched the re-branding of the eGov strategy to Digital Cities Philippines. Replication Potential and Sustainability (25 points) – The project demonstrates the model qualities of the practice with the possibility and applicability of replicating it in other localities. It must demonstrate a level of sustainability or that the LGU can continue the project by addressing major disruptions. Best in eGOV Data-Driven Governance (D2G) Award : This category cites the efforts of an LGU in recognizing that good governance through ICT goes hand in hand with the fair and responsible processing of data. Effective e-governance provides constituents with convenience and better services through the free flow of information while ensuring at the same time that personal data is protected. Best in eGOV Business Empowerment (G2B) Award : This category awards the significant effect of an LGU’s laudable practices in integrating ICT solutions and the commitment of its administration in the LGU’s responsiveness to the needs of business enterprises, thereby creating business opportunities. Best in eGOV Customer Empowerment (G2C) Award : This category recognizes the measurable effect of an LGU’s outstanding practices using ICT solutions in the education and engagement of the public and in the use of electronic facilities and channels towards providing improved, timely and relevant delivery of public services. Best in eGOV Government Inter-Operability (G2G) Award : This category awards the valuable impact of an LGU’s initiative to connect data and systems with other government offices, both national and local for the convenience of their constituents and to improve its public service delivery. Best in eGOV Digital Finance Empowerment (P2G) Award : This category commends the initiative of an LGU to promote e-commerce or e-payment facilities and systems to ensure effective revenue generation and collection and improving the over-all financial management of the LGU as well as giving convenience to the public. Best in eGOV Systems for Global Competitiveness (G2W) : This category cites the efforts of an LGU in developing world class systems in using ICT that are at par with international or internationally – recognized standards, thus making the LGU globally competitive, recognized, and virtually accessible and interactive. 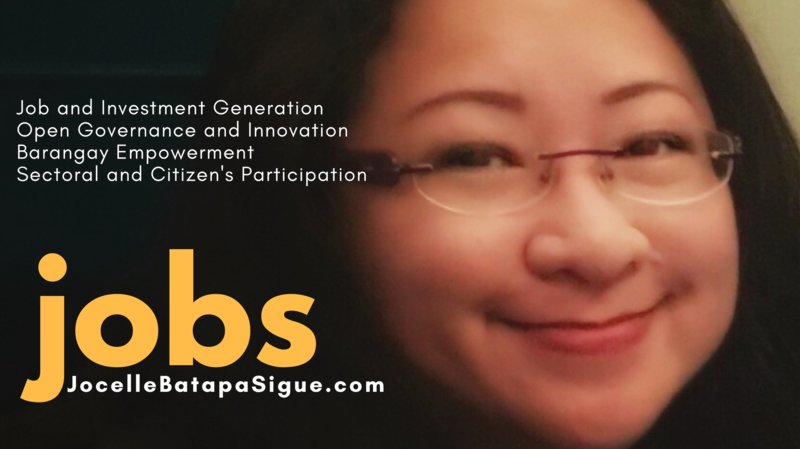 Next postWho is Jocelle Batapa – Sigue?